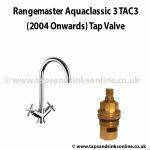 Taps and Sinks Online have over 30 years experience supplying kitchen and bathroom appliances to Kitchen Manufacturers, Plumbing Merchants, Builders Merchants and DIY Retailers. We source from a small number of leading manufacturers to ensure that quality is excellent, consistent and reliable. All savings are passed on to you, our customer. Selling select ranges from the same suppliers for 30 years means that we know our products inside out. We also keep spare parts in stock and can trouble shoot nearly any problem, no matter how old the item. See under each individual product for what warranty period applies. Carron Phoenix is one of the leading manufacturers of kitchen sinks in the UK. 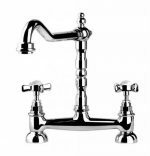 Their Sink design philosophy means that they do not compromise between stylish good looks and practicality. Whether Granite, Stainless Steel or Ceramic, all of the sinks are guaranteed for a lifetime, so you can be confident that they are made of exceptional quality and are made to last. 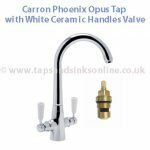 Carron Phoenix also provide an extensive range of taps, accessories and waste management systems, to give you an all-round solution for getting the most from your kitchen sink space. 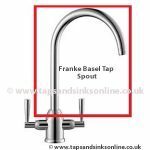 San Marco Taps are an Italian kitchen taps manufacturer and have been successfully supplying the UK market for over 30 years. They are highly trusted within the kitchen industry for every aspect of product quality and customer service. San Marco Taps are part of the Gessi Group, who are a leading manufacturer of kitchen and bathroom taps in Italy. Pure Pulse Eco Shower is a shower head that is designed to reduce your shower’s water usage by up to 60% whilst still giving you an enjoyable showering experience. This is done by means of a unique screw turbine device in the shower-head which allows the water out in rapid pulses (30/40 per second) giving you the impression of a continuous flow but cutting the volume by up to 60% depending on the water pressure entering your shower . 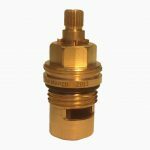 It is suitable for electric, power or pumped showers. The Pure Pulse Eco Shower is guaranteed for life against Limescale and will also inhibit the growth of bacteria greatly in comparison to ordinary showerheads. Green Hospitality Award. 2 Year Manufacturers warranty.